The technology today helps us to live our life in an easier and efficient way by providing a choice of different tools and gadgets to do our many tasks automatically. From kitchen appliances to home cleaning stuff, from tools for DIY home projects to watering system in the garden, we take help of a lot of tools to save our time and efforts. Today, we are going to talk about the best garden sprinkler controlling systems. We will compare and review top 5 smart sprinkler systems here. 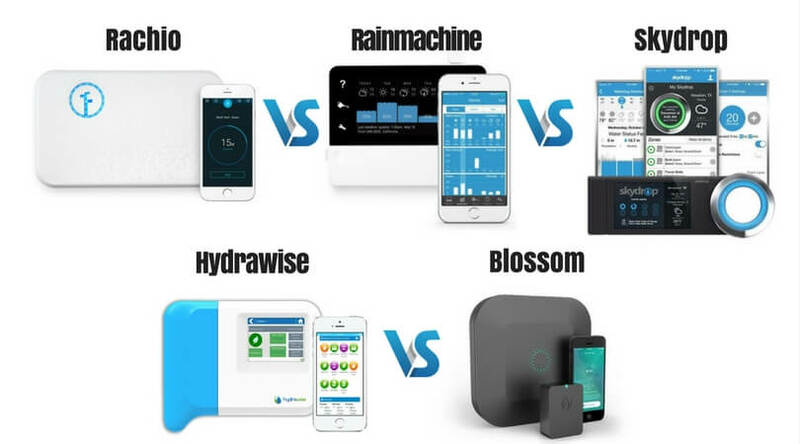 They are Rachio, Rainmachine, Skydrop, Hydrawise, and Blossom. 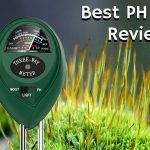 Check their comparison and reviews below to get your perfectly suitable garden watering system. The Rachio 2nd Generation Smart Sprinkler System is a well-known garden watering system which has won many awards and mentions by various organizations as well as publications in the industry. It is an Amazon bestseller sprinkler system too. This system is specifically designed to save your costing and provide you a convenience. On the other hand, Rainmachine is designed by keeping in mind the individuals who are looking to take the benefit of a convenient and affordable sprinkler system. It has an efficient mechanism which decides the amount of water to be sprayed as well as at what time it should be scheduled. Both Rachio and Rainmachine are EPA WaterSense Certified sprinkler systems. Rachio just lacks in its flex scheduling which results in a more water consumption sometimes if you do not monitor it regularly. On the other hand, Rainmachine has a bit lower level in its mobile app and web-based remote interfaces. The Rachio has one of the largest smart sprinkler controller models with about 7-inches white square. It has taken help from various independent testing agencies for SWAT testing of this sprinkler system to ensure a valuable product to its consumers. While Skydrop comes with the control of 8 zones which can be expandable up to sixteen. It has a fantastic feature of adjusting every sprinkler in your irrigation system and also to schedule watering for every zone separately. Using service of NOAA and other weather stations, Rachio maintains the water scheduling as per the forecast. While Skydrop is hyper-local which gives exact real-time data to change the sprinkling system adjustments. Like Rachio, Skydrop is also EPA WaterSense Certified sprinkler controller system. Where Skydrop is lacking by claiming fewer water savings than Rachio, it offers up to sixteen different zones with separate watering and scheduling for each one which Rachio lacks. In the irrigation field, Hydrawise is the well-known smart sprinkler controller system which offers value for money features to its consumers. It has a capability of handling up to thirty-six different zones to water your plants according to local forecast. While the second generation Rachio sprinkler system can handle up to sixteen different zones by gathering the data from your nearby weather stations. It comes with a free app compatible with Android and iOS devices to help you manage your watering system. Like Rachio, Hydrawise is also an EPA WaterSense Certified system, but what it outperforms than Rachio is, 36 different zones that are very high against 16 of Rachio. Also, Hydrawise allows you to control your sprinkler system even without the internet, but what it lacks is, the App to manage the sprinkler for providing flexibility to the user, which Rachio does very well. Both the Rachio and the Blossom smart sprinkler controller systems rely on your local forecast stations to schedule the right amount of water to your lawn and plants. Both can be connected to your WiFi system to give you control, and also they pause automatically while it rains. Both sprinkler controller systems do the awesome job, but, Rachio has the better software among the both with more flexibility for management and sensing. While the Blossom is less expensive and is waterproof which can make it a choice-able option against Rachio. In the above comparison and reviews, we took a look at Rachio Vs RainMachine Vs Skydrop Vs Hydrawise Vs Blossom sprinkler systems. All the products rely primarily on local weather conditions to provide a correct supply of water and turning the watering system into a smart sprinkler controller system by creating zones and scheduling for the amount of water to be sprayed. Check their reviews, features, specifications, and comparison with each other to decide which is best for you. It will help you to get a smart watering management system to control the watering in your lawn, plants, and other areas. 2017 Smartsprinklercontroller.com. All rights reserved.